Probably the finest scenery in the world. If you like what you see please visit my website at www.transientlight.co.uk it is constantly updated with new work tells you a little bit about me, the scenery and landscapes that move me to photograph them and provides details of forthcoming exhibitions. Additionally any of the pictures you see posted here and at Transient Light are available for sale. They are printed on the finest archival paper available, framed in solid Ash or suplied in wide diameter roll tubes up to 24" x 20" (print area) at 300dpi. They look stunning and have that walk into feel about them. For prices and the New TRANSIENT LIGHT Photographic Holidays please contact me through my website. Excellent gallery,wonderful compositions and great work,compliment. Photography done the way it is supposed to be done. Preparation, anticipation, opportunity and technical & composition skills all put to excellent use. As good as it gets. J'adore, énorme collection d'images sur ce pays si beau ! On ressent l'implication, l’amour des paysage dans le regard du photographe. Ian I have been here already 10 years ago expressing my admiration. Looking at this gallery now, as a Pbase veteran, I dare say this is the very, very best Pbase has to offer. My admiration even grows seeing you able to produce almost 1000 perfect pics. The beauty of each and everyone is absolutely dazzling. And Scotland is unbelievable beautiful through your lens. 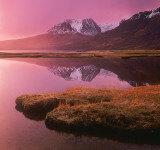 Great gallery, Scotland is offering a lot of wonderful landscapes and panoramas. Thank you to share. Typing too fast last time . What I meant to say was this gallery will be added to my favorites list. Scotland is a beautiful country. Pbase would not let me vote a second time but I would have if I could. Absolutely wonderful, you are one of the best landscapers on Pbase, possibly I've seen anywhere. As a film user I just know how hard it is to get those atmospheric skies and light in the foreground on Velvia. Your pictures are all so breathtakingly beautiful that I can't make up my mind which one I like the best. Ian, I love your photos--all of them, but especially the winter scenes. I was in Scotland for a month in September/October, 2013. I have been many places in Europe, Africa, Central America, the Middle East; but I think I can say Scotland is my favorite. It is such a lovely country with infinite photographic possibilities. Thanks for your wonderful work. Ian, this is a unique gallery! An enchanting gallery. Superb photography. You love your country and serve it well ! BBV. Wow amazing gallery, so many beautiful shots, great job ! Beautifully done Ian! A real pleasure to view! Beautiful, absolutely awesome. am speechless. wow!!! Enjoyed your work. You've got a great eye. Voted. What an amazing collection! Congratulations. Hello Ryan it's part of Great Britain in Europe. I am from Cambodia, i want to know the scotland country could you tell me which country is near scotland? Im an ExPat living in the USA, my home is Scotland and I have to congratulate you on the stunning photographs on your site, they are absolutely fantastic. I wish I could take photographs like these....Im still learning. I am humbled by your extraordinary talent! Thank you for teaching us by example. Voted. Absolutely breathtaking, thank you for sharing. You really make my Scottish blood want to go to Scotland one day. They are just spellbindingly beautiful. Very interesting! Thank you for sharing your passion, I will return soon to discover more. I have said it before and I will say it again - possibly the most magnificent collection of landscape images I have seen and to think they all were taken using film where mistakes can't be corrected in Photoshop. The work of a true genius and the work to inspire us all. Thanks for sharing them Ian. Without a doubt, Mr. Cameron is without parallel in showcasing the often stark yet phenomenal beauty of his choices of landscapes. Transient light indeed. Absolutely, irrevocably and irrefutably THE master of landscape photography. The Scottish pictures evoke images of an almost mystical land; one in which I know I would love to play. Wonderful gallery! I love it. Best gallery of Scotland I have ever seen. Truly inspiring and utterly compelling. RESPECT. I just LOVE this way of taking photos (also I do, not so well :-)). Excellent ! Simply OUTSTANDING !!! I wish more photographers would not use Photoshop and capture the image as IS. That's a true photographer! I LOVE IT VERY VERY MUCH.I WISH TO GO SCOTLAND AND SEE IT CLOSER AND CLOSER. Beautiful gallery!!! I like it! Very impressive body of work. Brings out the best of Scotland! A long and pleasant travel in Scotland. Very good job. To be honest, it's the very first time I take time to look at every single photo in such a big gallery. It's been such a relaxing good time watching at your stunning photos. I love the light, the tones & composition. In most of your photos, more than light and tones, it's what I can feel by just looking at them ... and that's just it ! They just move me. You're definitely a reference in landscape photography. heaven on earth shot by you. Awesome!Beautiful! Praise God for creating our wonderful world and for giving you the talent to capture it all in camera. Simply stunning work.....thanks for having the delight to peruse your excellent work ! Thank you for the honor of looking at your beautiful work. Your work is wonderful, I am astounded by your immense talent. Congratulations! You work is wonderful, I am astounded by your immense talent. Congratulations! Superb images! I love the gradients, the colors blending in such gentle ways. Vote! Wonderful pictures; the best gallery I have seen on this site : each picture looks like a masterpiece; light, colors, angle; great precision and professional ability : bravo! other beautiful countries need your art. I had very idea that Scotland was so beautiful. I should visit there sometime .And great shots ,Ian. Your gallery is a delight to view, wonderful and full of excellent photography! SCOTLAND IS A BEAUTIFUL PLACE. What an eye you have for seeing beautiful pictures! Your Island in the Corn has such vibrant colors, it looks like a painting. Your pictures are a feast for the eye and soul. Simply stunning and inspirational. I hope I can learn something about composition from your photo's, they are brilliant! Thank you for sharing them. Fantastic gallery, many compliments !!! V.
Scotland at its best, simply stunning. Occationally some photographer like you shows up here just making everyone else of us look like a complete idiot behind the camera... Just fantastic!!! Wow! Voted big time..
Having seen your photos, I tought to myself "I don't have to go to Scotland. I have already been there." Ian, great photographs, I like your note about your ethos of photography and visual honesty. it,s geat work , I wish be your student . klaming and take fotos . beautiful . Diese Bilder sind wirklich sehr schön gemacht, hervorragende Arbeit. Habe so etwas perfektes schon lange nicht mehr gesehen! Sehnsucht nach Scotland ? Ja, auf jeden Fall. Great vision and light....makes me home sick. There doesn't seem to be a lot of PEOPLE in these pictures... Are they all sitting ina Pub somewhere? I think I'd be sitting in a pub... looks so VERY COLD there! Yes, indeed. I'm a hot blooded Scotsman myself! Very GOOD photos though. Splendid technical form. fantastic gallery,the light is wonderful and the landscape totaly amazing! Excellent collection of photos, with nice nature and wonder view. Stunning, stunning, stunning. Can't say more. Ian, the next best things to actually being in Scotland is viewing your amazing gallery of atmospheric images of one of the most beautiful places on earth. I can almost taste the rich clear air as I view and now feel; destressed and relaxed and most of all as an art tutor in Adult Education INSPIRED. Thanks Ian. i love your gallery each time i visit. it captures the beauty of scotland perfectly. Wow Ian! I thought it wold never end! I've been almost all afternoon looking at this gallery LOL! amazing gallery... I have no word to explain what I think realy... congratulations and thanks for sharing. Amazing photos of one of my favourite places, Scotland! Thank you for sharing. so many great comments.i reckon one more wouldnt kill. i only have 3 letters. I can melt right into these images - having lived on the Mull of Kintyre in the mid '70's and travelled around the land. I'm far distant now but these bring back the atmosphere for me. Beautiful work - the camera format and Velvia are only part of it. You have THE eye, Ian, for sure. Author presents true natural feelings throughout this gallery, it's incredible piece of landscape photography... big vote! Great compostition - you are a very talented wee man ! I have never seen more amazing photography. Scotland is so beautiful. Your love of Scotland bleeds beauty beyond compare in this superlative collection. you are a master in landscape photography. One of the best landscape galleries . STUNNING shots, stunning work. The best series I've ever seen. No doubt about that. BIG BIG VOTE. Thousand votes! I am impressed...... simply the best shots I´ve ever seen.... Well done!!!! awsome images, some of the best velvia images i have seen! Probably the best Scotland scenery at Pbase. You are really pro. I love your work. V.
I'm thinking to purchase Pentax 67 II but hard to find a good condition. Gracis por compartir las fotos, los colores i los paisajes son impresionantes. Translated: thanks for sharing the photos, the colors and the landscapes are incredibles!! The absolutly most awesome pics of Scotland I have ever seen! I find most of the websites of professional photographers rather disappointing but i find yours Ian absolutly stunning. I've just spent 2 enjoyable hours looking at your Scotland images and i have to say that they act as an inspiration for me to continue visiting Scotland as often as i can. ABSOLUTELY BRILLIANT IAN I HAVE SHARED YOUR PHOTOES AROUND THE WORLD WITH MY FRIENDS. CONGRATULATIONS IN CAPTURING SOME OF THE FINEST SCENERY IN THE WROLD. Hard for me to travel in my 94th year. But these fotos make me feel that I must go there. That collection of beautiful photos makes me want to see with my own eyes what the camera has seen so well. A spectacular and magnificent show. As a Scot, my heart beats faster every time I look at the views. an absolutely awe inspiring gallery the lighting is superb thank you ! Really great gallery from a beautiful country. Thanks for sharing. Absolutely stunning gallery. Quite simply, amongst the best landscapes I have ever seen. Hi! I was looking though Pbase and just stumbled apon these magnificent pictures! I showed them to my family of 5 and all were in awe of your beautiful photos! I never new Scotland was so beautiful! Keep up the amazing work! I just keep on coming back to your magnificent galleries. Scotland is my favorite and it inspires me to to try out different shots on my gallery. Keep up the brilliant work. Amazing gallery and very impressing photos. V.
Certainly, one of the best, if not the best galleries I've seen on pbase. Congratulations on remarkable landscapes. congratulations & thank you very much ! visiting Scotland throught your photograph album has been an extreme pleasure for me - I am sorry for my poor english, I am french - I lived in the UK 15 years ago ( for only 1 year and half )I visited 5 times the Scotland country - Wonderfull country where I found similar towns, houses as in my Brittany - this scotland area has marvellous scenery - Thank you again. Your images are pictures that legends are made from !!!!!!!!!!! Are you Scottish as well ? I am on my mothers side a Kirk to be sure. Here's some of my wild flowers from North America to share in your spectacular image making. A simply amazing gallery ! V ! Just amazingly beautiful. One of the best galleries on PBASE for sure. Just STUMBLEed on to your photos. They sucked the breath out of me. You are to color what Ansell Adams was to B&W. A wonderful collection; thank you for for sharing these fantastic landscapes. V.
Breathtaking landscapes, Ian ... simply breathtaking! Some of the most beautiful photography I've ever seen. I can't add anything that probably hasn't already been said. Outstanding Gallery! Incredible collection of special light moods. Thanks for sending the calendar to my folken. Regards, Michael. Once again, as I have said before...stunning work, Ian. Love the new photos. The textures, colours, lighting and moods all captured by these images goes beyond simple photography and delves into the mysterious and ancient relationship between man and the land. Many of these photos touch the soul, and call to us to come into the frame and be there. Well done indeed. P.S. I'm going to show this to anyone who thinks digital is better than film (which a lot of uninformed people do). It's also making me want to invest in Medium Format gear. Mesmerizing! I'm only on page six of your gallery so far, and already I am captivated by the imagery of a land I love so much immortalized through your talent and skill. Scotland stole my heart four years ago, and your photos have given me the opportunity to again embrace the majesty of her --if only from my computer screen. I sincerely thank you for sharing this gift. Your gallery takes my breath away! Is this paradise? Here is paradise. God has given you the views,and the talent to photograph them,all I can say is "Thank God"I just have to visit your wonderful country again,the last time we were there was 1968. Fine work--they look like "keepers". Fabulous work! I love every single image you have presented here. These are the most amazing images I have ever seen. I spent 11 days in Scotland, saw many sights, but never saw anything as truly breath-taking as these. You did a magnificent job capturing the countries beauty. This is the best photos ive seen, they even beat mine !!!! Perfect light and perfect composition would't be enough to describe this work. There's something else. This gallery is a real declaration of love to this outstanding country. First time in my life I see the velvia so well managed! With filters, it gives really outstanding and powerful colors. Your pictures are an invitation to go to Scotland. Thanks for sharing, it's a great photo lesson. Thank you Mike I'm very pleased you enjoy them. Ian, this is an absoluting fascinating gallery, of rare beauty and richness of colors and smart composition. Also thank you for sharing some technical data. I look forward to look at more of your work. Vote !! I am from Scotland originally. Now live in Arkansas but when I saw your photos I wanted to get on a plane and head straight home. Please visit Deeside in your travels and especially Braemar and Mar Lodge estate and then post some more photos. Fantastic images of a beautiful country. Incredible vision and artistry. These photos show a world of beauty, that can dwell in your mind just because you really look at it- and with this the sublty of film. One of the best galleries of landscape photography I´ve ever seen! We´ve been to Scotland 2 times, and we love the land and the people. These are just so spectacular I don't know what to say. Great big VOTE. Wow. I love Scotland, and thought I had some nice photos from my visits there. But your work... is on an entirely different level. Clearly, you work extremely hard at your craft, and the photos are just magnificent. Not only is this among the best galleries I've ever seen on Pbase, but some of the photos here are some of the best I've ever seen anywhere. Truly magnificent work. Thanks. I am from the US, bt your photography definitely makes me want to make Scotland my next travel destiantion! It is so beautiful. Great work! terrain and climate appears swathed in soft beauty and welcoming arms. a singular wonderful gallery. Allmybest, cristine Oh, and voted of course! Maravillosas fotos, espléndidos paisajes. Gracias, Ian, muchas gracias. I know of the pain you took just waiting to get it right, capture that what we rarely become to see. I just had to say,"Magnificent" Your time is well rewarded through the joy you share with others. I think it´s the best gallery I´ve ever seen. I have now looked for 6 years on galleries from Scotland - and your pictures are outstanding - and you have so many of absolute high class. I have travveled through hole Scotland 6 weeks in 2002. I have lost my heart to Scotland! The light, the light.. Oh my, it really lit my fire.. The colors are so bright and the photos so sharp. I'm obsessed with brightness and colors in my work, and in you I recognise a true master! The subject Scotland in all its nature greatness is perfectly pictured in your work. It makes me feel small and glad that somebody made nature even better then you can see with your own eyes. So thank you for giving me the shivers! ... simply the best. Each one is a dream. Beautiful galery, terrific! A big VVVVVVVVVVVVVVVV! I have never saved so many pictures from one set of photos. I can only imagine the work you put into these brilliant shots. Thank you. You have perfectly captured this gorgeous landscape! Absolutely awesome gallery! You capture the moods of light so well! Beautiful gallery - wonderful work! What can one say.. FANTASTIC!!! These images are simply amazing. This is the best landscape photography I have ever seen. Tus fotografias son ARTE PURO. Por alguna razón, que no se explicar, Escocia siempre me ha acelerado el pulso, me mueve el piso.Por tanto, mil gracias por permitirme conocerla a través de tu maravilloso lente. Que Dios te bendiga !!!! Absolutely stunning. This is one of the best galleries on Pbase. Amazing work! You truly are the Ansell Adams of Scotland! Very beautiful and inspirational work!! What a joy to behold the wild and unkempt solitude and ever changing moods of the land and skyscape in Scotland. It reminds me of Donegal in Ireland. A stunning gallery of images, Ian. It must have been quite a challenging journey learning about the land whilst shooting these images in all weather and conditions. I'll bet you had a great time doing it though. Simply fantastic body of work Ian. Accolades are in order. This level of skill is what I eventually strive to attain. Thanks for showing us this part of the world through your eyes and lens. This is one of the most beautiful galleries of scotland !!! With love from Moscow! Thank you for pleasure! Great use of light! Timing and compositions are also very good. I enjoyed looking at these beautiful landscapes. Scotland is on my list on places to visit in the coming weeks. I had to come here and go through your work again, truly inspirational. Thanks for showing us your world through eyes which see such beauty. Wonderful gallery, I enjoyed my visit very much. Occasionally one comes across a gallery that is truly outstanding. This is one. It is truly humbling to see the work of a master compared to one's own. Amazing gallery, very nice color, very nice photo ! BIG VOTE !!! This gallery is breathtaking and I congratulate you on capturing (and sharing) the incredible scenery. Just off to visit your website now but I will return to visit your other galleries in here later. Your pictures provide such a place of peace for me. Thank for the view of beauty in places I will never actually see. Keep up the good work. I think you are right, Scotland does have the finest scenery in the world and that is especially true when you are capturing it with your camera. Amazing work!! Stunning Body of Work. Very inspirational. You are a gifted artist. Thanks for sharing. Some of the best photos on Pbase! By far one of the best galleries I have ever seen on Pbase. I have added you to my favorite's list. Well done....I must get to Scotland!!! These images are absolutely stunning. I cannot pick a favorite. You are an exceptionally talented landscape photographer! This is the first time Ive voted for a gallery. I am in awe of most of them. For sure, you turn out a Great capturing of a story within each photo of a certain place on this planet, good going. You are one awesome photographer. One of the very best these eyes have seen! Your imagery desrves the highest praise as your work is simply amasing, never have I seen such a collection of such beautiful images, as I adore Scotland for its scenery your pictures make me want to book my return holiday to Scotland. Will have to seriously consider one of your tuitional holidays. I WOULD LIKE TO THANK YOU FOR SHAREING ALL THE PICTURES. Quite some gallery. Every shot is magnificent Ian. Pleased to see beautiful colourful images of Scotland. Can I use any images for screensavers please ?????? ps. esp.enjoyed the "autumn rush hour"
Your work is AMAZING!! Vote is in for you. These pictures are beautiful. I spent 2 wks in Scotland in '99 but unfortunately only saw some of your terrific country, hope to get back sometime real soon! I can't believe I haven't seen this sooner. WOW!!!!! This gallery is amazing! I've loved every single photo :) Great work Ian! Voted! Great job! You are my inspiration to pursue photography as a hobby. Can I please use your images for my screensaver? Amazing body of work, more than a lifetime achievement for most. Stunning. Voted. C'est le plus beau site que j'ai pu découvrir sur l'Ecosse! Merci pour toutes ces photos de très haute qualité. Lovely scotland at its best. Wish you would go to the Wigtown and Sorbie area.......I have been there and it is the most beautiful place I have ever seen. My ancestors started there. Clan Hannay. Terrific collection if I haven't said so before. Fantastic gallery! On next time, I´ll want to go to scotland !! Congratulations, great shots. Suddenly I want to visit Scotland with my camera. I also noticed and fully agree with your comments on honesty of images and particularly with regard to the wrong while usual assumption that any good photograph has necessarily been "photoshoped". It is irritating when you stay hours and sometimes days or months trying ta have the correct light conditions to obtain THAT picture and somebody just says "photoshop is really incredible, isn't it ?" Very nice and cool gallery. Outstanding work. V.
Composition, lighting, color - your photos have it all. Very inspirational. Thanks for sharing. This gallerie is one of the most beautiful ones i´ve seen in a long time. Accept my most sincere congratulations Ian, you are an excellent photographer. Scotland is magical, i'm looking foward to visit. Absolutely stunning work Ian, I have followed this gallery for a while now and am impressed with the quality of your work! Of course it got my vote, if I could I would vote 100 times! As an American of Scottish descent, I am awed and inspired by the beauty of Scotland as shown in your photographs. Thank you. Absolutely the best photos I've ever seen of Scotland. Awesome. These images are uniquely beautiful. They may be photos taken in Scotland but they have a universal look, timeless and almost detached from the physical. 6x7 rules, especially in such talented hands. Marvellous sceneries. Each of them a masterpiece! Inspirational landscapes, truley amazing gallery. I am quite impressed by the beautiful images in your gallery. want to buy some used camera gear? Magnificient - Thank you. As a Scottish excile in South Africa, your wonderful photographs bring back happy memories of my youthful fishing trips to the various lochs & glens. This is a 'keeper' and looking forward to updates. This is some of the most beautiful photography I have ever had the pleasure of seeing. Hi! I fell in love with Scotland when I was there last year. I was especially captivated by the Highlands and its surrounding area. I want to really thank you for sharing your marvelous work with us because seeing your gallery here brings back that peaceful feeling I felt when I was in the highlands. Also your explanation is fascinating because I would have wrongly jumped to the conclusion of images being Photoshopped......your technique is brilliant. Really wonderful art here...super job with light and color. Saved your galleries...will be back often! Truely stunning pictures - made all the more impressive considering the dedication needed to create them. Esas fotos son sencillamente maravillosas! I love your pictures! Thank you. Thanks for sharing these wonderful images. You are very talented photographer. I always wanted to see Scotland and after seeing these images I want even more. These images are absolutely stunning. Voted!!!! Portknockie Dawn is amazing! The finest gallery of landscape photos I've come across here.... voted.. In awe of your skills. I have so far to go. This is charming...I must see Scotland.Wonderful work! Absolutely breathtaking. There are no chemtrial/contrails in the sky and the greenery is astonishing. These photos make America look like the filthy wasteland it has become. For shame! Just a point I would like to make about the pictures you see in my galleries at PBase. All of the pictures you see here originate from a transparency, they are carefully scanned by me to exactly match the colour, density and contrast of the original, this is done with the transparency placed on a calibrated light box and that is then used as a reference and comparison for the final processed image. Apart from essential commercial integrity, the whole ethos of my photography is visual honesty, namely, if you were standing beside me at the time I was taking the shot then hopefully you would see what I was seeing. All the photographs are taken in one exposure and any "manipulation/airbrushing" is done in camera with the use of polarisers, or neutral density graduated filters with the sole aim of reproducing what I am seeing with my own eyes. These filters are used to cater for the deficiency of film not to reinterpret the original scene. Velvia is a highly saturated colour transparency film with its own distinct colour palette, it cannot reproduce the original scene with the dexterity and ease that the human eye is capable, neither can any film or digital camera for that matter, but it does match my memory of the scene better than anything else on the market and I personally feel I am transported back there again when I review the original image and that is my goal. I have given my explanation because there is a terrible side effect with digital photography and photoshop in particular, namely a belief that "just because a photograph can be manipulated, IT MUST HAVE BEEN", well, in my case, NOT so, whether you choose to believe it is entirely up to you. Thank you for your support and kind comments. Thank you for reminding me of the land we once passed through. Seventh Generation from the Clearances. Absolutely beautiful but the air-brushing is a bit much. The finest scenery in the world? You can say that! And you made the most of it. Wonderful gallery! I just cant beggin to tell you how amazed I am by your pictures! I love doing pictures myself,but non of them can even get close to these! Wonderful photos that my friend sent me as she knows that I am interested in my Scottish roots. I just wish that my Scottish McFarlane great grandparents were here to view these. You have a great eye. Beautiful gallery. Looking at your pictures makes me feel as if I'm standing there with you. You do fantastic work. I hope to run across more of your galleries. Thank you very much the wonderful pictures!!! All Scenes like my sweet wife Trust me. You idiot - showing everyone what a beautiful place it is will get it invaded by hoards of tourists! Wow, these are beautiful pictures. This is a wonderful site. Thanks for sharing it! Don't think I've seen such wonderful photos of Scotland. Best compliments. And Scotland. :-) Of course. Beautiful pictures. I love Ireland in spite of i have never been there. A fable, translated in photos, compliemnti! Ric. Beautiful shots. All of them. I love the Outlander series of books and it's nice to see some of the sites and landscapes from this rugged land. Thanks for sharing. Simply one of the best galleries on pbase. Ian ... I don't know how to tell you how good this gallery really is. Each photo in and of itself is wonderful. I think it's one of the best galleries on pbase ... big vote. Realmente bellas las fotos. Me ha impresionado la calidad de las mismas.Enhorabuena por tal excelente trabajo. Amazing work... Now I want to live in Scotland. a breathtaking gallery, one big vote for all your images, great work. ....and all taken using film (hooray!!). Very inspirational - thank you vey much. What a fantastic gallery ... I've got to come back when I have more time (and will). Great job ... voted. Thank you for sharing such a beautiful country; it has definately brightened my day. I spent ten days in Scotland, home of some of my ancestors, in October 2000; Scotland is an beautiful as these pictures. Stunning photography - many thanks. These shots of Scotland are the most beautiful I have see to date. visit their area..Now I must.. I have never seen anything more beautiful, Ian. Oh these are just beautiful. Got to go to Ireland in 2004. My grandfather was from Scotland but never though to go. Would love to see it now after seeing these beautiful photo. This is a beautiful gallery! Truly lovely photos. wow - i want to go to scotland! Gob smacking images, Landscape photography at its very pinacle. Every shot featured here has magical lighting and packs a huge punch. this is one of the most outstanding galleries I've seen to date! Thanks fot this mazing pictures! This gallery is a rare find, full of images that become more enchanting with each return visit. Congratulations on your achievement! EXcellent Shot with good view in photo, The best! Fantastic shots. Absolutely breath taking. Brilliant... fantastics... beautiful... All are stunning pictures. Gorgeous work! Your images are simply superb - "a painter of light". Cheers! You are such a talented photographer - your work is out of this world. Big vote!!! Absolutely spectacular - You should be under the pay of the Scottish tourism board! As a fellow Scot, yur photography reflects the wonder of Scotland...Magical! Stunning pictures.. Stunning consistancy (I'm envious).. and a stunning country. I have to go to Scotland now. I'm speechless. These photos are just glorious. Stunning. Absolutely stunning -- every single one. I'm nearly speechless. What a gloriously beautiful country -- so beautifully captured. Wonderful! I know you've heard this before but this is an outstanding gallery. Every piece a work of art. Thanks for sharing. These make me want to visit Scotland very much! To say this gallery is phenominal is an understatement...! Absolutely mind-blowing...I think this could be some of the best work I've seen. voted. Excellent shots. Fantastic colors. Great job. Excellent shots...don't know Scotland is so beautiful. Among the best landscape photography I have ever seen. Many thanks for sharing these awe-inspiring pictures! I've checked on Amazon.com but it seems that you still haven't published your work. Any plan? No words can describe / capture the beauty of these photographs!...I am spellbound. Staggering. Beautiful place, beautifully captured. These are some of the most absolutely beautiful photos that I have ever seen. Thank you for sharing your beautiful art. I WOULD LOVE TO BE BORN AS YOUR CAMERA! Nice camera, brings out colours surely. Didn't always understood the choices you made, but in sum, your work is moving, even nostalgic... and makes one feel lonely. They are incredible photos. Thank you for your sharing these heaven. We are looking for as these views.. The amount of comments left here speaks volumes of your work Ian. I've never been to Scotland much less even overseas to Europe. After viewing these I feel like I've been there now. Truly some amazing images that you've captured! Thank you so much for sharing them here for all of us to see. I must say, your photographs have made me all the more determined to visit Scotland. Everyone of these pictures is just so perfectly captured with beautiful lighting and perfect colouring. I'm incredibly jealous. Bravo! Ok! You win the prize! As a semi-pro photographer and artist you are the finest. Breathtaking photos. I truly enjoyed viewing Scotland through your eyes. Thank you for showing heaven on Earth. Beauty is in the Eyes of the Beholder: Thanks for letting me see the world thru your eyes!!! Super pictures- I really enjoy over & over !!!!! what some pretty jigsaw puzzles these would make. those puzzles with and the names to go with them. I compliment you for the way you capture these moments in the wonderful Scotland ! A lovely gallery. I like how you have captured the beauty of the land in your images. one of the best galleries! I love these. I am in awe. Thank you. part of the world a great justice. Keep up the great work. I agree with everyone...almost. They sure look authentic to me. Among the best landscape galleries I've seen on pbase. Great photography of beautiful places. Your shots are soo goood! I'm starting to doubt its authenticity! Awesome! Fantastic, some great work here. I take pictures but this is real photography. Thanks. I can't find the right to describe my feelings about this inimitable webpage! Every shot is a masterpiece! Hi, the photos are AWESOME, thanks a lot for sharing.. This gallery is superb. I keep coming back for another look. completely stunning photos. vivid colors and excellent subjects. applause! Wonderful gallery. Long live the film ! I find it especially helpful that you provide some details on how you made each photo such as ND grad and placement. breathtaking images, I am speechless. Your photos are absolutly wonderful! Semplicemente fantastico ! La pellicola surclasserà ancora per parecchio tempo i sensosi digitali. Grande il fotografo, eccezionale la macchina fotografica , sorprendente la pellicola. GREAT IAN. Unbelievably beautiful! Thanks for shareing, hope your show when well. I voted. THANKS! amazing!! These photos leave me breathless. You are my all-time nature photographer idol. Total respect! Absolutley Breathtaking!Thank you so much for shareing. This is the most beautiful gallery I've ever seen. Thank you for making it available. Incredible gallery - if I only knew how to do the same. Congrats! Fantastic compositions. Love the Velvia colours. Outstanding gallery ... every photo simply beautiful!!! Hello I'm Carla from Argentina. I know that scotland was a magic place to sightseeing but this pics were amazing. Thanks for sharing. Truly awesome. I thank You for sharing Sir. Nothing less than Amazing... Thank you for the tour. Amazing Work, The best i've ever seen.Really Outstanding Ian. Many many thanks for this moments of Wohhhhhhhhhhh!! WOW! I'm not sure any other words can best describe your work. Capturing the master artists work with such vivid light and colors and clarity. WOW! Fantastic images. Great colors and compositions. These are some of the most beautiful images I have ever scene--a visual feast!! You are truly an artist with a camera. Gets my vote. Absolutely gorgeous images! Love the colours! A very acomplished body of work. Good Framing, but ing up the contrast doesn't make your images better. I might suggest that you focus more on black and white landscapes. Ian, God speaks to you through your lens. Heavenly work! Gorgeous work! I can't even begin to say how this whole gallery moves me! Huge vote! I happened into Elgin Library recently and saw the exhibition - and was stunned. I have been into photography for 40 years.It is still a dream to achieve something approaching such quality, if only occasionally. Superb. Completely unatural colours,the pics look more like cartoons or pastel. This is not photography. The best landscape gallery I've seen on Pbase! This is amazing work Ian. Just makes me want to hop on the next plane to Scotland and visit all those places. However, the immense amount of work you have here is not just for a short visit. As goods as landscape photography gets. and up yours to FANNY. Think that everything was already told and so, two words only: magnificent images, Ian !!! Outstanding gallery...I will come back! Gorgeous images Ian; inspirational work! Ian, if it wasnt for the distance from Sweden to Elgin I would have visited the Elgin library gallery. Your captures is truly inspiring and they make me want to take a trip to Scotland. Thanks for sharing. Spectacular composition, color, and atmosphere...Your work is so rich! Going to Scotland was always a dream to me - since I was a child. I finally went for 3 quick days last year and loved it. But it was over too fast.. and there wasnt' enough time to see all that I wanted to see. You've given me more.. thank you. These are awesome. Beautiful pictures. Well done. These are gorgeous! Just been to Scotland once (Edinburgh, Aberdeen, etc.). I wish I could move there! What a wonderful gallery. Breath taking colors! You've certainly shown us a Scotand we wouldn't have known otherwise, and beautifully so! Get my vote and congratulations. Thx 4 share the beauty of Scotland. Pics are simply superb. I must visit scotland. Just thought I'd let you know the calendar is available visit Transient Light and you will find it there. Not many left though. Lovely landscapes. If you turned your photos into a calendar, I'd definitely buy it...stunning scenery! Well done! Ian, adequit words fail me...Absolutely magical!!! Thanks for sharing your great images, they really enlightened my views. I visited Inverness about 10 years ago. I totally agree with you that Scotland is one of the most beautiful places on earth. Wish I could visit your exhibition in person ! Voted. I was like a kid in a sweet shop randomly clicking on thumbnails.. then I came to my senses and clicked on slideshow. What a fest for the eyes, super. Big vote. This has to be one of the best galleries i have seen so far. This is a truly amazing gallery. fantastic pictures and great PS work. I Love your pictures!! I love your country!!!... I´ve been in Scotland this summer and is an amazing small great country...Beautiful gallery... When I see your pictures I wish I could come back and make at leat one photo as yours. Masterpieces! My daughter will have the opportunity to see the beauty of this land since she 's going to college in Stirling (45 minutes from Glasgow) and I'm planning to visit Scotland in December. Your Pictures are so out this world! breathtaking! I'll make sure to send this link to her. I am simply jalous about the quality of your photos. It is a feast for the eye and the sheer quality of the slide scans you submit makes it even more admirable. In comparison my humble attempts to make good shots all of a sudden shrink to nothing. ever seen. What a beautiful place, I hope to visit it one day. I do love this country. Would move my family back there if they would let me. Great job! I've been in Scotland twice and up to now it's the best place I've ever visited. These pictures make justice to it! I've always wanted to visit Scotland, your outstanding images have increased this craving immeasurably. this gallery is one of the few I've seen on pbase that really begins to do Scotland justice. A lot of time (and expense, I imagine) has been invested here. Many congratulations. Another vote for this excellent gallery. I'm speechless! One of the best galleries I have seen. just such stunningly amazinly peaceful rich in color and light images! Just back from hillwalking in Assynt - you've captured the place wonderfully and not a midge to be seen! Beautifull! I like your color and perspective. This is one of the most amazing galleries I have ever seen. Absolutely beautiful. Outstanding work! When I watch a gallery like yours, I know why I adore landscape/nature photography... yours is superb! Keep up the good work! Congrats Ian, you are a great landscape photographer! Stunning imagery- beautifully crafted shots in very different circumstances.Oh, I'm so envious of these clear skies - no smog in sight ! Wonderful gallery Ian, I have admired your work for a some time and the Scotland images on your Transient Light website contributed to the inspiration for my own recent Scotland tour. Fantastic use of light and color! This is awesome work Ian. bravo to you and thanks. This is a magnificent gallery. Excellent work! I had to save them all to my desktop, they are too beautiful! wonderful pics , wonderful country! Beautiful and impressive work! Most shots are nearly perfect. V.
This gallery is red hot from beauty. One of the best I've seen last year or so on Pbase. Of course it gets my vote! One of my favourite countries, and you have captured it magnificently! Voted. really nice, looks like places round Ardtonish? One of the best landscape galleries I have seen on Pbase for a very long time. Ian you have captured Scotland`s light perfectly. Impeccable quality throughout this outstanding gallery. Your picture provoke such peace. Beautiful, simply beautiful. Absolutely beautiful gallery. Every photo is a gem. Fantastic gallery, I love all those shots and it would be impossible for me to chose the best. Now I must come to scottland!!! Ah! - another brilliant Scotland gallery; no coincidence it keeps cropping up in the popular galleries lists! The Glencoe pic in particular is fantastic. Absolutely Beautiful. I have a Plasma TV that I use as a digital wall art piece in my family room. Beautiful gallery ... wonderful work!! v! This is one of the best galleries I've seen in a long time Ian and a testament to film over digital. You have a wonderful eye and these pictures are some of the best I've ever seen on PBase. Great work!!! SCF. Absolutely gorgeous gallery. Very fine work, voted. Beautiful gallery, Ian! Several absolute favourites here!